Home > Mortgages > How Much Money Do You Need to Buy a House? Buying a home is still considered to be a lifetime accomplishment. How much cash you’re going to need upfront to do so is another story entirely. The funds needed to close the sale play an enormous role in your ability to get a home loan. If you’re serious about buying a home or will be in the future, how much of your income you should be saving to realistically seal the deal? Short-Term Plan: Lenders look at your pretax income when determining how to qualify you for a mortgage loan. As a would-be homebuyer, you should plan on doing the same, using a percentage of your gross income for determining how much to save. Saving 20% of your income could catapult you into purchasing a home in the next 12 to 16 months, depending on your market. For example, if you’re earning $96,000 per year, that’s $19,200 saved after one year. $28,800 saved after a year and six months, which can be plenty of funds to make home-ownership a reality. Longer Term Plan: At least 10% percent of your pretax income is a great place to start planning for future home-ownership. Using the same example of $96,000 of income, that’s $9,600 per year allocated for home savings. It would only take an extra year to come up with the same type of cash in the short-term plan’s one-year goal. As you get your finances in order, you’ll also want to work on your credit score in the meantime, as a getter credit score can earn you lower interest rates and increase the amount of home you can afford. You can check your credit scores for free on Credit.com. 401(k)s — If you have an employer match a percentage of your monthly contribution, this can aid you in purchasing a home faster, as the majority of 401(k) accounts have the ability to borrow for buying a home as a first-time buyer. For example, if you are receiving a 50% match of your monthly contributions your 401(k), you can kick-start the time it takes you to save the cash. IRA — These accounts grow with the market and have the same concept as the 401(k), although without the matching. Such an account is a great place to accumulate money in an interest-bearing account that has provisions to purchase a first home. CDs and money market accounts — These accounts also are a source to help you generate additional funds to save in addition to your monthly savings contribution. When you buy a home for the first time, there’s the down payment, which is the difference between the purchase price and the loan amount. And then there are closing costs. Those two costs will equal the total cash needed to close. Closing costs are roughly 2-2.25% of the purchase price. So if you’re looking at a home for $500,000, plan on closing costs to be around $10,000. 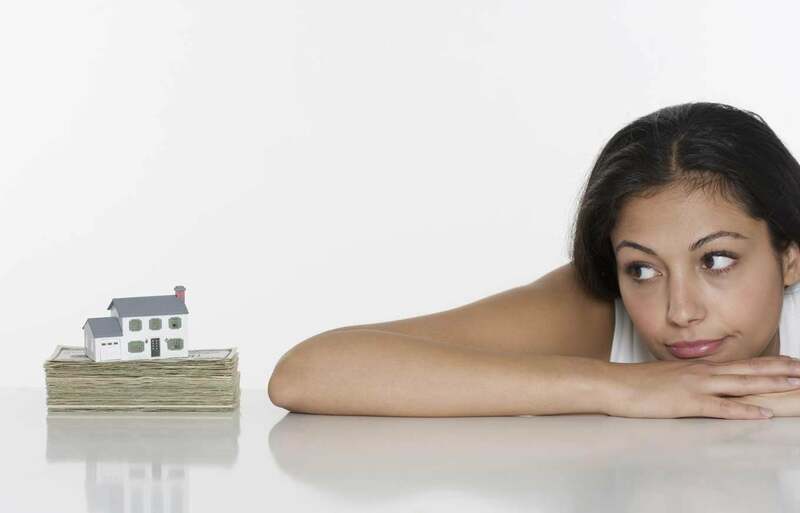 How much down payment is needed will vary, depending on the loan program. How much cash you will need to purchase a house is dependent on the loan program, purchase price range and certainly your market area. Remember as you are diligently saving a portion of your income to make that home purchase happen: A lower down payment and lower total cash to close means a higher monthly mortgage payment. Conversely, a larger down payment gives you a lower mortgage payment. Also, the percentage of mortgage insurance lowers if a buyer uses more equity. If you have been diligently saving for a house, and still have not been able to purchase a property and are diligently saving your money, talk to a lender about getting pre-approved. Perhaps it’s time to reevaluate how much percentage of your income is going to saving versus what homes are like in your area. Wish you would have written more about PMI. Most people don’t understand it and it’s lifetime costs over entire length of the mortgage, not just until your equity hits a certain percentage. I have found in my personal origination mortgage business that the majority of the people that take out loans with private mortgage insurance refinance them in three to five years. Although I do like this for a future blog post. Thank you for the heads up. I wish you would write more about the real world in blue collar America. Income of $96,000? House for $500,000? That’s rich people. Talk to the guy making due on $30,000 year while feeding 4 and sending 2 kids through school. Scott Sheldon replies: Saving 10 to 20% of your pretax income is deafinitely going to be challenging depending on what part of the country you are in. Chris the long-term effects of PMI are 100% important the majority of people however either choose to refinance out of PMI or can wait be appropriate time frames 24 months on conventional loans, and five years on FHA loans independent of the equity requirements. Agreed PMI over time can absolutely wane on household finances which is why PMI need to be handled appropriately making sure it can be affordable and scalable and a sense of when it can actually be removed based upon whatever region of the country you’re in. The reality of it is that there is no way to speak to a person making several hundred thousand dollars per year and then put them automatically in the same boat as someone making $30,000 per year. The goal of the article is to take a person who is making good income and give them a trajectory of what it looks like to get into a home. My household brings in about 100k but saving 20k a year would be hard. Trust me, 100k isn’t rich. as heavyw8t duly notes – middle class americans rarely could afford what you’ve outlined in the article. Not at least until 5 years of savings, given the increase of nearly everything in daily life right now. Not everyone can meet criteria for USDA, VA or FHA loans either. Conventional are now requiring 20% down in many areas. This article really helps no one unless they actually make 100K a year in gross and don’t have high expenses already. House Price $250K – 2.5% Closing costs $5,600; 3.5% Downpayment $8,700. you come down with $14,300 in about 2 years and 9 months saving 20% of your after tax income. so you need to save $5,250 per year, attack your entertainment expenses, vacations, restaurants, impulsive shopping – clothing (you dont really need those cute shoes or pretty shirt and pants, do you? ), unplug all your appliances when you dont use them, that cuts your electric bill a lot. (by experience). Then after you buy your $250K home, sad news is that you need to pay your mortgage, taxes, PMI, Insurance, etc.. that will eat $19K a year of your after tax income. leaving you with about $7K to feed your family, pay for gasoline, utilities, etc..
Good luck.. We are in the land of opportunities eh? Buying a home is by far the largest financial decision of one’s life. Under this above scenario, the figures wouldn’t jive anyway despite the savings component, as there would be a debt to income ratio threshold exceeded. The goal of the article was to quantify a savings to make buying a home a reality. Everyone’s financial circumstances are different. Happy to give you some pointers. Let us know. I think you’re missing something obvious here—a person making 35k a year simply can’t afford a 250k house! They will either need to figure out how to earn more money or figure out how to live with less. Why do Americans feel entitled to expensive things that they can’t afford? You need to start when you are young and expenses are low to get ahead. That is why you need to teach your children about the time-value of money early so they can make smart decisions in their 20s that will set them up for success when they start their family.